It's been a long while since the last update… five months actually. I'll keep it brief… Since returning from cross nationals in Asheville, I pretty much took the rest of January off. I ate more than I should have and indulged a bit while I had some off time. As January came to a close, it was time to get serious again, and by serious I meant jump back into racing the first week of February. Not the ideal start to the 2016 road campaign but there’s no better way to get started right? 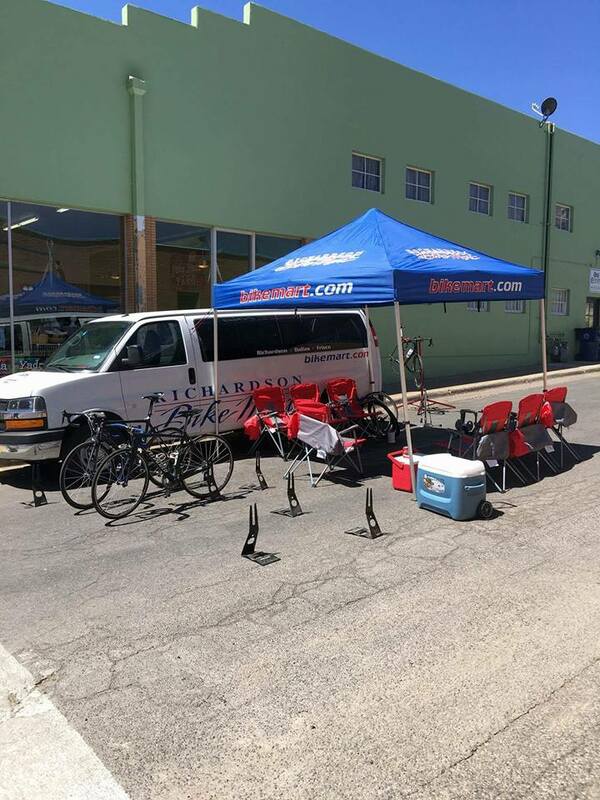 A few weeks of hard training, getting back into racing, and it was time to head off to Silver City, New Mexico for the Tour of the Gila. For starters, Silver City is located in the southwest part of New Mexico, about a 12 to 14 hour drive from Dallas. It's a small town and the streets roll up pretty early, but there is certainly a unique and vibrant culture that exists in town. We (Chris, Corey, Davis, Hugo, John, & I) rolled in late Tuesday night and fortunately for us, we had a late start on stage 1 to get some sleep. We had a leisurely breakfast and then got ready to roll down to the staging in downtown Silver City. The race started with a parade lap through town and then neutral up a long climb out of town. I, for one, was really grateful for the neutral start since my heart rate was jacked with anticipation and on account of the altitude. Not a great sign for the rest of the afternoon. As we turned onto the open highway, the racing started in earnest but with a strong tailwind there was very little pedaling going on sitting in the bunch. Knowing that a 10 mi climb to the finish awaited us, I had no complaints. Over the first two hours of the race we had an average speed of 28-29 mph. That’s ridiculously fast! There was a small pile up at mile 70 which my teammate Davis and Cory were caught behind. They eventually got back to the group just before the final feedzone. 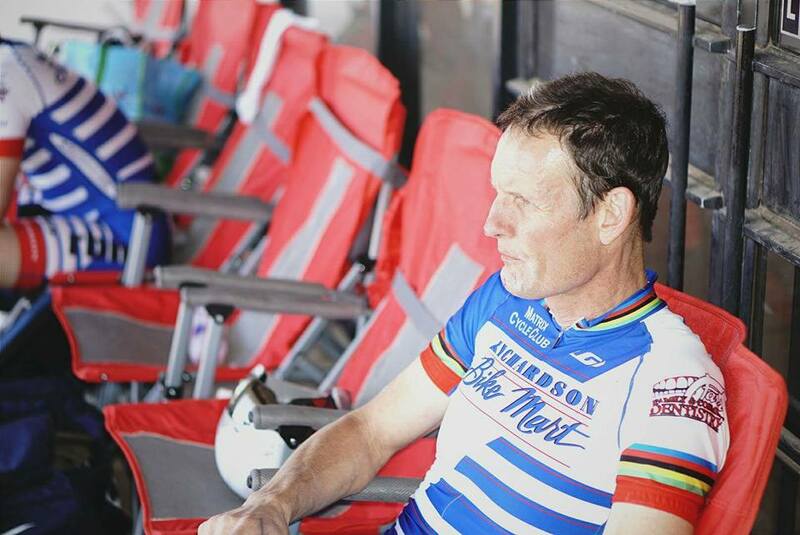 As we started the climb, I shifted my focus from staying with the group to riding at my own tempo. The skinny climber types hit the accelerator up the first steep section and over the top to the 1 km plateau. As I crested the first part of the climb, the group was blown to pieces with riders in small groups of two to three or solo. Being from Texas, I was already familiar with crosswinds and felt quite at home. The 5km (3.1 mi) to go sign greeted us at the end of the plateau and the road kicked back up from there. 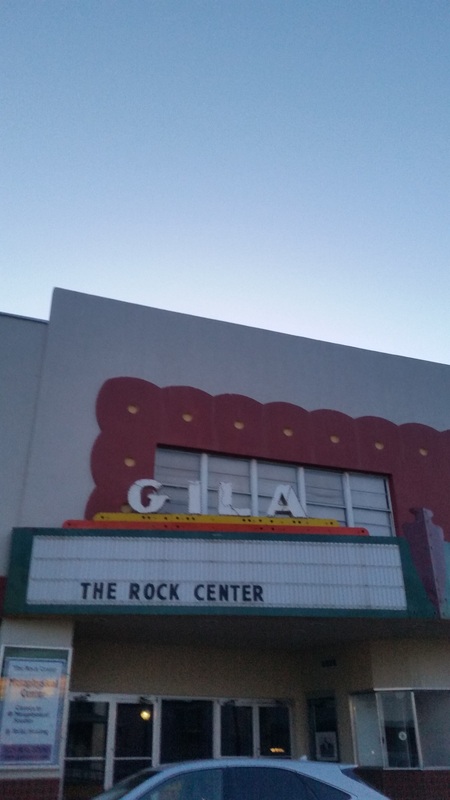 Seeing the sign, I started to feel a sense of relief that the end was near. I was wrong. Each kilometer took an eternity and just when you thought the grade might let up, the road kicked up around the next bend. Looking back on it now, the climb was really awesome, but in the moment it was, by far, one of the hardest days I've had in quite some time and definitely the most I've climbed in years. Hugo had a great ride, finishing 8 minutes down on the leader and I was a few minutes farther back at 11 minutes. We all managed to finish and we took our sweet time getting water and food at the summit before heading back down the mountain to start the drive home. We pounded water the whole ride home in an effort to rehydrate a bit. Fortunately, no one cramped up too bad. Stage 2 held and earlier start and more climbing, but fortunately there were only 75 miles on today's stage. The route crossed the Continental Divide twice – the first time just 10 miles in to the stage and the second with less than 10 miles to go. Our goal for the day was to try and keep Hugo up in the front group and if it came down to a sprint, set up a leadout to try and take the win. From the gun the pace felt hard as we climbed the steady grade to the Continental Divide. I could tell right away that I wasn't on a good day and it was taking my best effort to stay on the back end of the group. We had a nice long descent through the Gila National Forest, with smooth roads and sweeping bends. But that was short lived as we started climbing again back to the top of the mountain. I thought the descent might help my legs come around and let me catch my breath. Unfortunately it wasn’t the case and as the group accelerated through the first feedzone of the day to challenge for the King of the Mountain, I started tailing farther and farther off the back. John stayed back with me and I tried to keep my cool while riding back to the group. We crested the top of the climb it was time to get to work on catching up. John was doing a great deal of work to help get me back to the tail end of the field. We bombed the descent as quick as the road would allow down to the valley below. Once in the valley we were met by a strong, gusting headwind. It became even more apparent just 30 miles in to the stage that I didn't have the legs to go the distance and John sensed it too. He looked back at me and I gave him the shake of the head, telling him to carry on without me. It was a good thing because John ended up having a great ride along with Corey and Davis! I plodded through the valley solo, wishing that the day would end or somehow the wind would die down. It seemed like an eternity, pedaling alone through the valley, seeing absolutely no one for the 20 miles that I rode along. I finally got picked up by the first grupetto and we rolled along to the second feedzone. Hugo wasn't on a good day either and as we swept him up, he and I pedaled slow to the last summit of the day, eventually joined by Chris a little further behind. We descended back into town and rolled across the line 29 minutes back from the leaders. It’s not often that I can say this, but I was really happy that the time trial stage had arrived. We took our bikes out for a short spin in the morning to ensure that the machines and legs were running smooth. 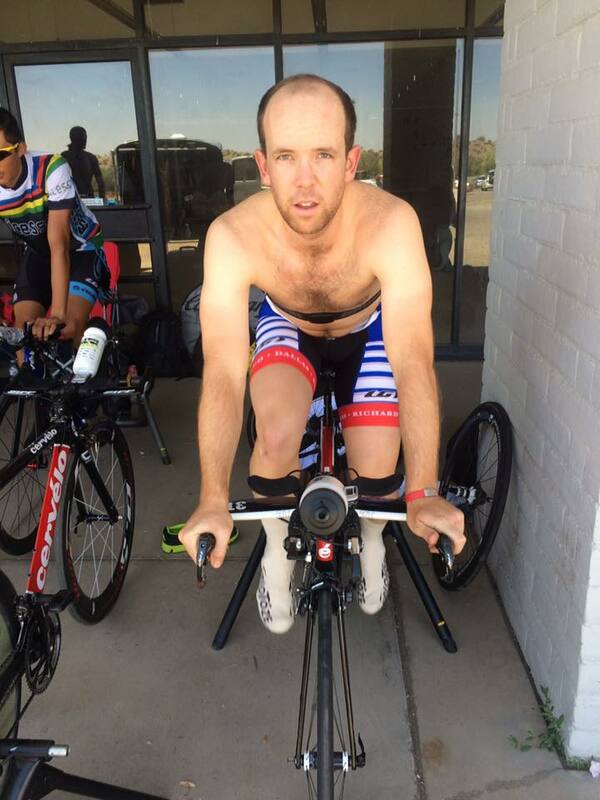 It was my first time riding a time trial bike, and probably a good idea before taking on the 16 mile out and back TT. We arrived at the staging area and got set up. Warm up was short and probably not the most ideal. But considering the difficulty of the previous two stages and the altitude, a short warm up with some short builds was all that I really wanted to take on. Sitting on the start ramp, looking at the road rising up to the summit of the first climb, I planned on making a steady go of it until the 6 mile mark when I could start to pour on the gasoline. I felt comfortable as I set out and put the chain in an easier gear as I started to go up. I caught my 30 second man by mile two. “Uh oh,” I thought, “I must be going too hard and I still have 14 miles to go!” I backed off a little bit, but a few miles later, I caught my 1 minute man and was caught by the guy who started 30 seconds behind me. From there I kicked it up a bit and started riding a bit harder. After a morning spin outside of town we swung by the Jumping Cactus for coffee and breakfast. Today was the day that many of us looked forward to all week. 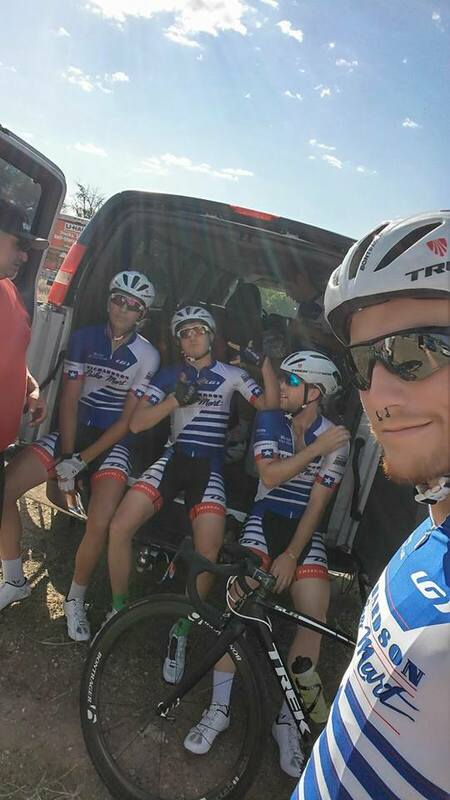 We may not be able to climb mountains very fast, but us Texas racers sure know how to ride a crit! Everyone was feeling good and our preliminary plan was to try and launch an attack 10 laps in to the 30 lap race. The crit started pretty fast and there were a flurry of attacks in the first few laps. Three or four laps in, the bell rang for a $100 prime (a cash prize for the first rider to cross the line on that lap). John was near the front and going through turn two, he attacked up the hill and opened a gap. We patrolled the front ensuring his advantage and that he won the money. A nice start to the day! After John’s move came back, a counter attack went and Chris went with it. When that move came back, I went over the top and was off the front solo for a lap. I even took a $40 prime that I had no idea was offered! A group of three riders came up to me and I sat on the back for a few turns. It wasn’t more than a lap and a half later that I tailed off the back of the group. I tried to ride within myself, but at altitude, the ability to go over your red line is diminished significantly. I sat up, sunk back to the group and tried to recover. In that moment, Hugo countered, going up the road with a few other riders and within a lap the move was gone. Chris, Corey, John and I moved closer to the front to control the race and let the group’s advantage grow. After a few laps and with 20 seconds on the field, the move seemed like it was going to stick if we could maintain the status quo. As we hit turn three, Davis moved up on the left and opened up a small gap on the field. He looked back, I shook my head at him (he later told me he didn’t see my gesture), and he hit the gas pedal. Davis eventually made the juncture with one other rider and the group in front was eight riders strong, two of which were RBM. The laps ticked down and Corey was doing monster work on the front, chasing attacks and slowing the group. With 5 laps to go, Chris, John and I moved closer to the front in an effort to control the pace and set up a provisional lead out just in case. With 2 laps to go, the break’s advantage was solid and John and I were able to sit up on the last lap, coasting in with the group. Up front, one rider attacked going into the last lap. Hugo took up the pace and towed the group through the first two turns and reeled in the solo rider. Davis was following wheels to the top of the hill in corner three and as they made the catch, Davis punched it through the third corner, went “super aero tuck” (his words, not mine) on the downhill and hit the final corner as hard as he could. The gap was enough that Davis could post up and celebrate across the line. As I rounded the final turn, all I could see was Hugo with one hand in the air. I tried to ask a few spectators if we had won and when I saw our soigneurs celebrating, I let out the loudest yell I ever have at a bike race! Everyone was stoked that Davis had won the race and as a whole, it couldn’t have gone any better! Saturday turned to Sunday and it was an early start to the final stage. The weather was bright but cold as we rolled out of town for 103 mi through the Gila National Forest. My goal, and that of most of our crew, was to try and stay with the group as long as possible and hope that we could finish with the main bunch. The group was fairly tame over the first climb of the day, which was a nice surprise. But as we started the climb to Emory Pass, the GC leaders started throwing blows that shredded the bunch. It was only 20 miles into the stage and already I was watching the bunch accelerate away from me. 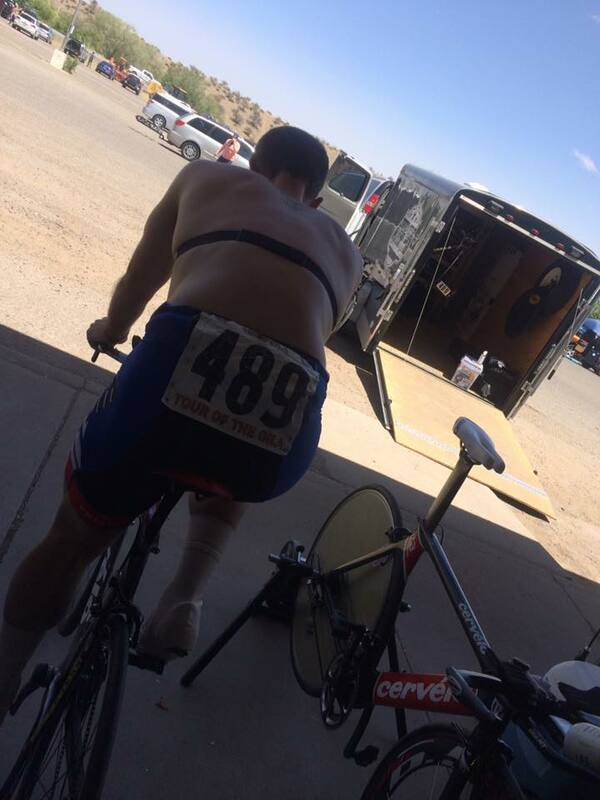 I grabbed a musette from the feedzone and settled into my own pace. I caught up to Hugo and he and I eventually caught up with Davis, John, and Corey. We still had a mountain to climb and as a group we elected to ride as a team (with the help of a few others) for the remainder of the race. Maybe the group would come back, maybe it wouldn’t. Either way we would finish as a team. The group made the turn around at the summit, bombed the downhill and then plodded along through the valley. With yet another head-crosswind through the valley, our team moved to the front of the bunch to start the echelon rotation. 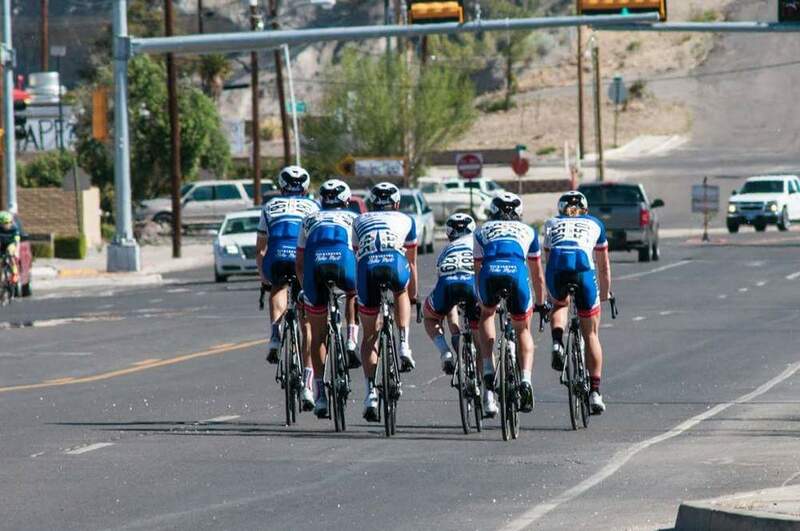 We didn’t shell anyone but most of the other riders weren’t willing to help much, so we carried on as a team, rotating our 5 riders and dragging everyone to the base of the Gila Monster. The way up was long and grueling, though I’m certain we went much slower than the leading group. We were passed by several riders from the Pro race, including my buddy Bryan who gave me a hand sling up the mountain. Thanks dude! It was a long day in the saddle but I was glad to spend it with my friends. We joked that the stage would be labeled as a recovery ride for us but at the end of the day, we finished the race as a team, and I couldn’t be more proud about that! 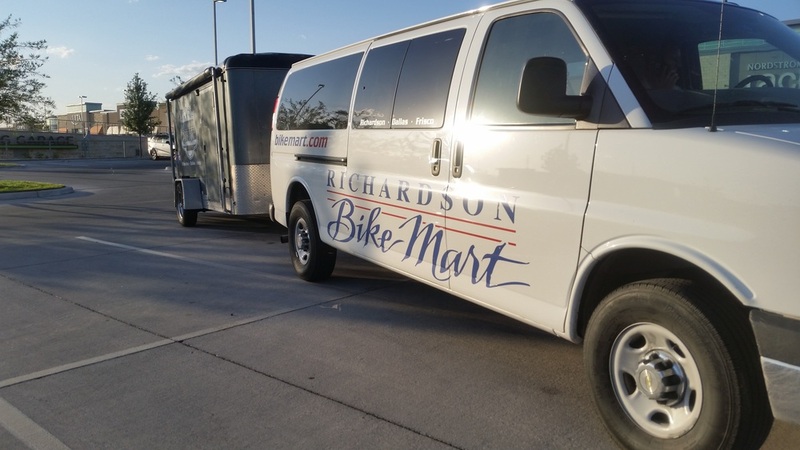 Thank you to Richardson Bike Mart, Jim, Woody, Max, Sam, Mike, Barry & the rest of the staff that helped us get ready to race and for showing belief in support in our team. To Freddy, Jimmy, Mapi, & crew, we wouldn't have been able to survive without your support. Thank you for doing the gritty work - filling bottles, cleaning bikes, massaging our tired legs, and waiting for us to drag ourself to the finish line. Finally, I'd like to say thank you to my teammates. I appreciate every bit of support, laugh, and struggle that we shared and I can't wait to get on the road with you guys again!